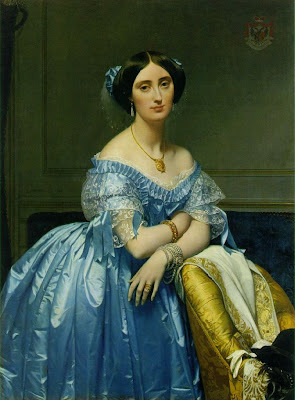 WELCOME to the Three Graces Historical Clothing Blog: 'Adventures of a Costumer'! The website is in the final stages of development, but that's no reason I can't start my blog! 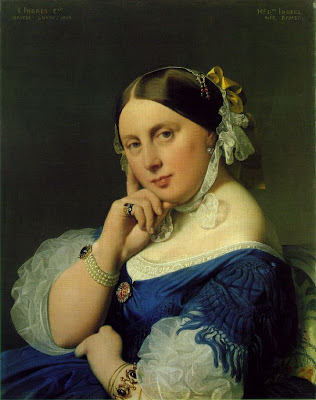 'Adventures of a Costumer' will be a place to post research and inspirational pictures of historical clothing as well as a place to blog about my own creations. I hope to include 'How-To' blurbs, Pattern critiques and recommendations, and links to other historical clothing blogs and websites. Three Graces Historical Clothing has been in business officially for a little over a year, although I've been reenacting and reproducing historical reproduction clothing for well over 10 years. Historical accuracy has always been of utmost importance to me. I've reenacted the American Civil War and the Revolutionary War and have volunteered at numerous historical museums of various eras. My favorite era? Well, that's hard to say. But a few of my favorites are Colonial, Regency, Civil War, Bustle and the 1930s. And my favorite fabric to sew with? That's an easy one - Silk! I can't wait to share some of my research and creations with you! 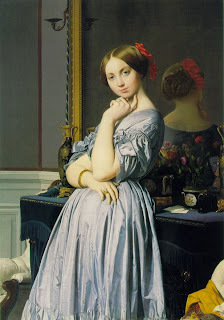 Jean Auguste Dominique Ingres is one of my favorite artists. 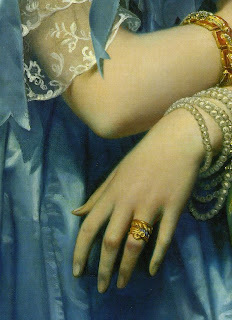 His works are excellent sources of documentation for the way in which Victorian women wore jewelry. 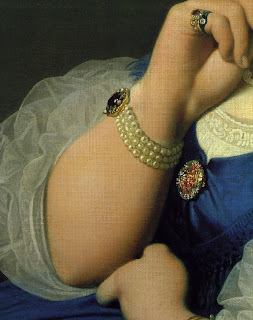 The dark haired beauties he paints are always adorned in the most beautiful pearl and gold bracelets, necklaces, rings and earrings. 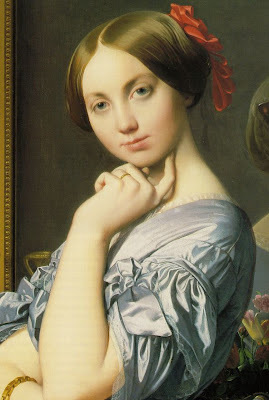 Ingres captures the smoothness of their coiffures and the richness of their silk ballgowns with such perfect brushstrokes that his ladies seem lifelike enough to step from the canvases. Check out Artchive.com for more of his work!